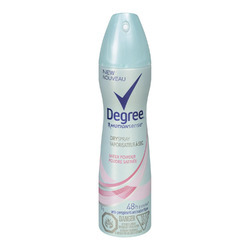 Degree is a deodorant brand manufactured by Unilever. Known as "Sure" in the UK and "Rexena" in Japan and Korea, it was developed in 1908 by an Austrian pharmacist. 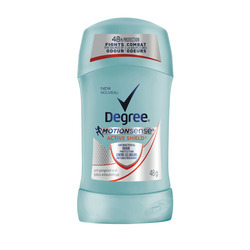 Degree products come in stick, gel and spray forms. 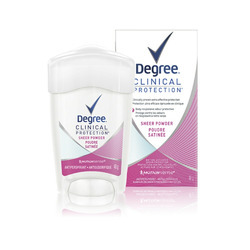 ChickAdvisor members have reviewed the Deodorant, Clinical Protection and NatureEffects Deodorant. 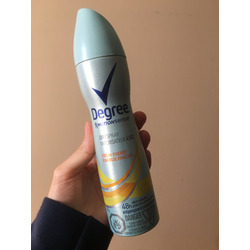 I’ve used so many different antiperspirants (including the clinical ones) and this one tops them all! No more sweat stains or marks and no more feeling self conscious. I would but this product again. 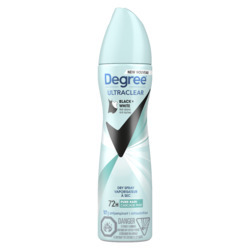 It is fresh and leaves no stain and is so easy to use. 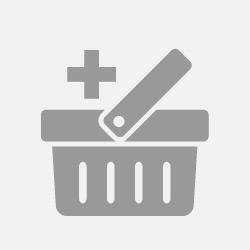 It works right down to the last of the product and is not difficult to use. I love it when it goes on sale. Smells amazing. Goes on smoothly and lasts for 3+ weeks with 1-2 applications per day. I try and get them on sale for a good deal and just stock up. I’ve had sensitivities to many other antiperspirants before, but no issues with this one! Love this product. Have it in my gym bag at all times because I find it super effective at keeping me smelling fresh while I'm working hard. 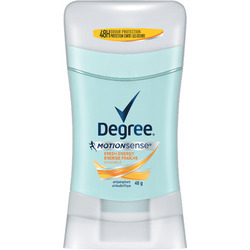 I prefer this scent to the other scents available, and it's a good value for the cost. 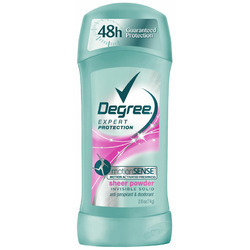 I like to have a different deodorant because my skin gets used to it easily. So I have this ones for normal daily routine when I’m less active. It is good and easy to put on. But I would say that it doesn’t hold for so long. 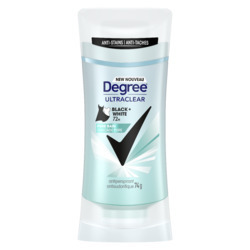 I have been using Degree products for years and Shower Clean is one of my favourite scents. 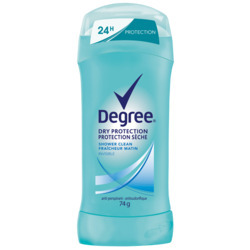 It helps to keep me dry and odour-free throughout the day. 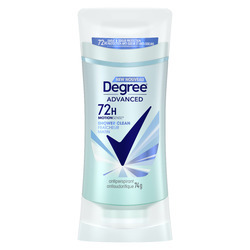 Not many antiperspirants are still effective at the end of the day! The product does its job as a deodarant, i dont smell and it does last all day. Only thing i can not get over is the smell when applying. Its too strong i cant breathe when i apply it or it makes me cough. Im sticking to stick deodarants from now on.